Elite General Purpose White First Aid Kit | BUDK.com - Knives & Swords At The Lowest Prices! 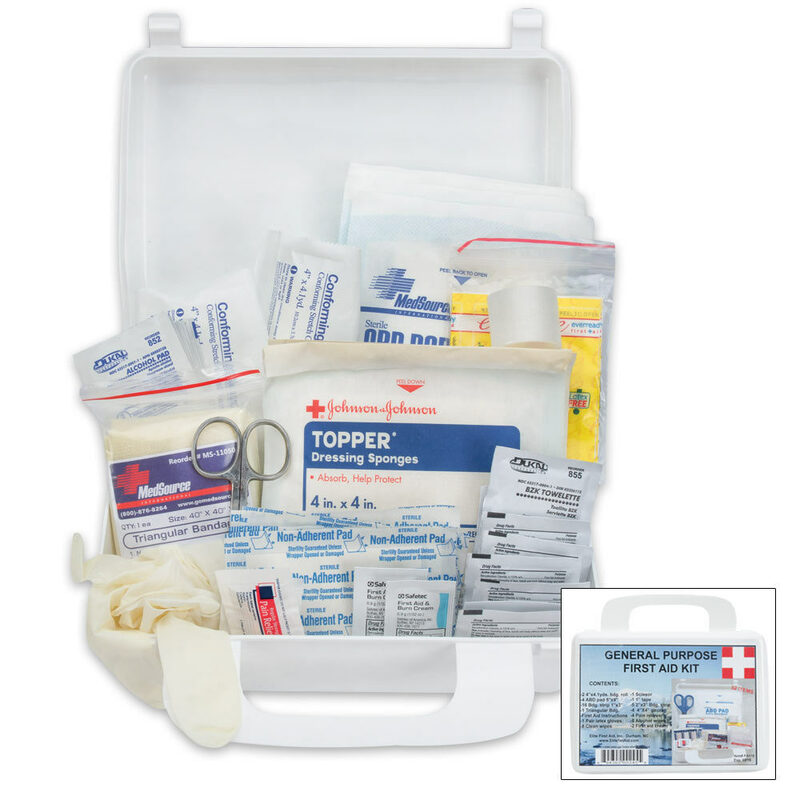 Always be prepared for an emergency when you keep this elite, general purpose first aid kit nearby. It is compact and comes with a variety first aid and emergency items that will be vital if disaster strikes close to you.